Terry Fenwick looks set for a sensational return to the Pro League with increased powers to boot, as the successful and combative English coach declared that he will lead North East Stars into battle for the 2017 season. The deal, according to Fenwick, would give the former San Juan Jabloteh and Central FC coach full authority over all football operations at the club, although Stars owner Darryl Mahabir remains as chairman. Photo: Terry Fenwick (right) salutes the crowd after leading Central FC to the 2014 Lucozade Sport Goal Shield title. Looking on is Pro League CEO Dexter Skeene (centre). Mahabir could not be reached for comment. However, a senior official at Stars confirmed that a formal deal between the two parties appears to be a matter of when and not if. Arguably, the most eye-raising aspect of Fenwick’s return lies in his new base. 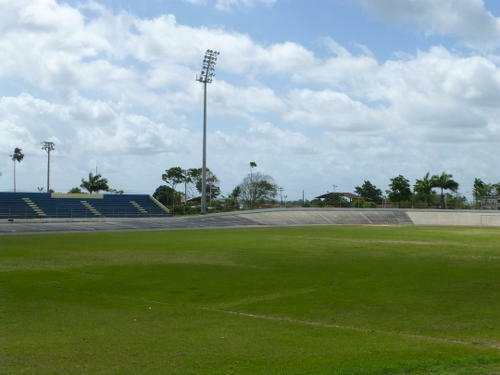 Stars, who initially played at Ojoe Road in Sangre Grande but have not had a home for years, have agreed a deal with the Arima Borough Council to move the club to the Arima Velodrome. “We feel that we have got a bit of a coup there,” said Fenwick, a former England World Cup player and Tottenham Spurs captain. “The Arima Mayor [Lisa Morris] is quite keen for us to use the Velodrome as a home base. The Velodrome is possibly the only stadium that is right in the heart of a community. Photo: The Arima Velodrome or Municipal Stadium. “Everything revolves around the Velodrome and it has such a great following. From my experience in the past, even minor league games at the Velodrome would attract 1,000 fans and sometimes more. 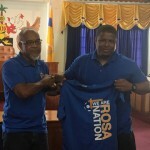 Arima Mayor Lisa Morris-Julian said she is excited by the pending arrival of not only Fenwick’s Stars but also National Super League champions FC Santa Rosa, who are led by interim Trinidad and Tobago Super League (TTSL) president Keith Look Loy. Santa Rosa played at the Centre of Excellence in Macoya for the last two years while they used the UTT facilities in Malabar before that. Morris hopes the two clubs can return the spotlight to a community that once produced or showcased talented players like Kerry Jamerson, Timothy Haynes, Kerwin “Papa” Emmanuel, Derek King, Dwayne and Craig Demmin and the late Mickey Trotman. Morris knows first-hand the power of sport in the borough. 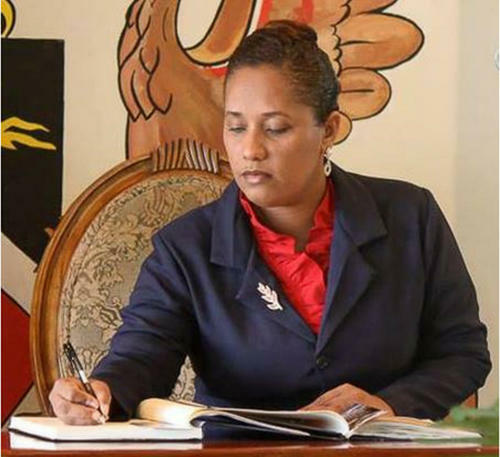 Her father, Raymond Morris, had close ties with the Arima Memphis football club while her grandfather, Leroy Morris, was a footballer before he became Arima mayor. Photo: Arima Mayor Lisa Morris-Julian. “Officially, Mr Fenwick will receive his [confirmation] letter on Thursday but it was already discussed and decided upon unanimously by the Borough,” Morris told Wired868. “We are just excited that someone of Mr Fenwick’s international stature would come here and [help] Arima to be the football mecca as it once was back in the 1970s and 1980s. Two years ago, Fenwick was on the verge of a similar relationship in the Morvant/Laventille region, which had the blessing of then MP Donna Cox and Sport Ministry Permanent Secretary Gillian MacIntyre. However, the proposal ended in controversy after Kevin Harrison—then advisor to Sport Minister Brent Sancho—ordered MacIntyre to withdraw the Ministry’s financial support. 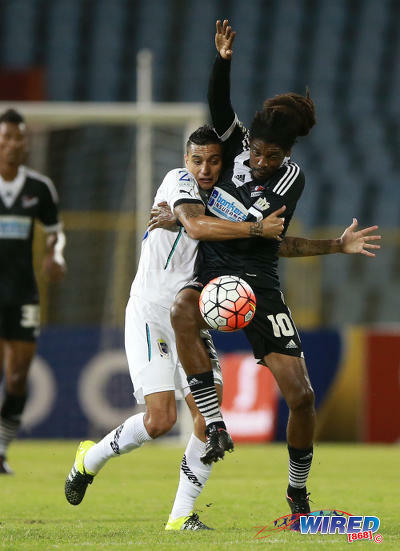 Fenwick was previously employed by Harrison and Sancho at Central FC and parted way on acrimonious terms, despite helping the pair to their maiden Pro League and Caribbean Cup titles in 2015. Photo: Central FC goal scorer Jean-Luc Rochford (front) and his teammates celebrate with the 2015 Caribbean Club Championship trophy. The Sport Ministry subsequently started a probe into its support for the project, which was a collaborative effort by Fenwick and the Ma Pau Casino. MacIntyre gave a TT$450,000 cheque to the fledgling Ma Pau Morvant Sports Club, as was within her remit as PS. However, the application fee for the Pro League was TT$400,000. Pro League CEO Dexter Skeene said, at the time, that his body felt it was an innocent mistake while the Sport Ministry never proved fraudulent behaviour—although two employees, exclusive of the PS, were suspended pending investigations. This time, Fenwick appears to have avoided controversy. Harrison claimed that his only concern is regarding the details of Stars’ new partnership at board room level. Once more, Ma Pau, according to Harrison, is involved. “My only question was concerning the status of Ma Pau,” said Harrison. “To date, I am not aware of the arrangement made between Ma Pau and North East Stars regarding ownership, etc. When Ma Pau were in the League before and they left, apparently they owed players some money. So have they sorted that out first? 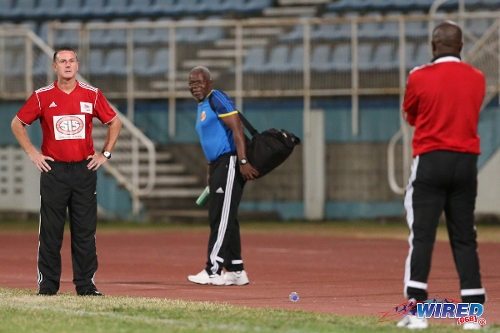 Photo: Then Central FC coach Terry Fenwick (left) and North East Stars coach Angus Eve glare at each other during their 2014 Digicel Pro Bowl quarterfinal clash. So far, Fenwick has not revealed whether he has any financial backers and who they might be. Arima is already making adjustments for the new year and Morris said Sport Minister Darryl Smith promised to help develop the India Ground in Malabar, which would allow the Borough to comfortably host Pro League and Super League games without leaving out the Arima League. “It is exciting times ahead,” said Morris. “We have the room and we just look forward to embracing everyone. I would also like to acknowledge the social aspect of both plans. Both [Fenwick and Look Loy] have promised to give back to the at-risk communities in Arima. Fenwick explained how he thinks he can provide a social benefit to Arima. “We are looking at opening a Football Factory in Arima that will help young players develop and learn the game and get life skills,” said Fenwick. “And by that I mean discipline, communication, leadership skills, confidence and all kinds of life skills. In Port of Spain, we have kids from all walks of life—kids from Morvant and Caledonia who can’t speak to each other on their block but get along at Football Factory. Photo: FC Santa Rosa coach Keith Look Loy (centre) talks to his players at halftime while then captain Jovan Rochford (right) has a drink of water during 2015/16 CNG National Super League (NSL) Premiership Division action against Club Sando Moruga at the Marvin Lee Stadium in Macoya. “Not all of these kids will be excellent footballers. The better youngsters will move on and compete with the professional youth teams. So we see it as a holistic all-round program. The Football Factory, like most football academies, operates with a combination of paid players and others who receive scholarships. Fenwick and Morris said both parties still need to iron out further details of their partnership beyond Stars’ use of the Velodrome. In terms of the Pro League club’s ambitions on the field, Fenwick promised to create a team capable of challenging for the title within a year and a half. The Englishman unearthed a stream of teenaged talent at Jabloteh—such as Khaleem Hyland, Sheldon Bateau, Ataulla Guerra, Robert Primus and Lester Peltier—and will attempt to use a similar formula in Arima. 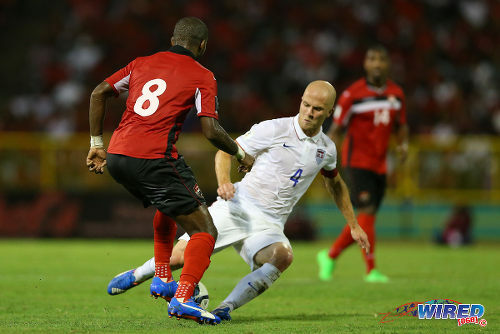 Photo: Trinidad and Tobago midfielder Khaleem Hyland (left) rolls the ball through the legs of United Staes captain Michael Bradley during 2018 World Cup qualifying action at the Hasely Crawford Stadium. “We are looking at the development of young players because there are some terrific young players out there,” said Fenwick. “So we want a handful of experienced players—who are good role models—to lead a young team that might take 18 months to reach their full potential. While Fenwick declined the chance to name any youthful transfer targets, he did mention a 41-year-old talisman who worked alongside him at Jabloteh and Central. The evergreen Marvin Oliver, who spent last season with relegated Super League Premiership Division team, Maracas FC, is first on Fenwick’s list and could operate as a player/coach for Stars. Fenwick also identified King, the former Trinidad and Tobago National Senior Team assistant coach, as a potential asset for his coaching staff. 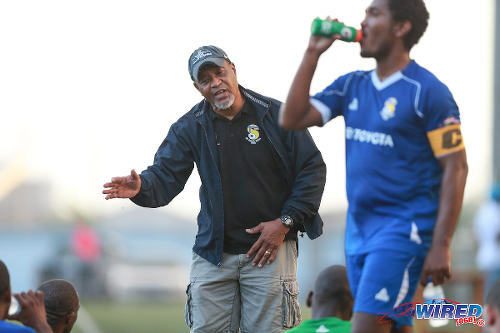 King, who still lives in Arima, is a former Pro League champion coach with Joe Public and steered the Trinidad and Tobago National Under-20 Team to the Caribbean Cup title in 2004. He quit the national team last November after the David John-Williams-led TTFA administration dismissed head coach Stephen Hart. Fenwick has already approached King and hopes to convince the promising 36-year-old coach to join him at Stars. “We need people on the ground who are capable of looking after the programme,” said Fenwick. “I would run the programme—to make sure it is delivered with the same quality and intensity—but I want to rely on people like Derek King for his expertise and knowledge of the area. The Pro League has not revealed a start date for its new season although it is expected to kick off in May. Photo: Ma Pau Stars winger Hayden Tinto (left) takes on Morvant Caledonia United defender Seon Thomas during Pro League at the Ato Boldon Stadium in Couva on 22 November 2016. Fenwick’s potential move to Arima will mark the first time a Pro League team has used the Velodrome as its home base since Arima Fire in 2000. 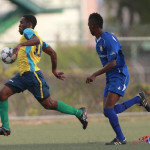 Stars used the Larry Gomes Stadium in Malabar in recent years but the inadequate lighting at the venue meant that they often played home games at the Ato Boldon Stadium in Couva instead. As always, Fenwick backs himself to deliver something special. 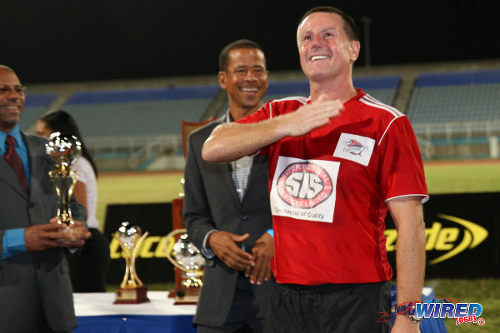 The Englishman is the Pro League’s second most accomplished league coach with four titles, which is one short of the five league trophies held by W Connection technical director Stuart Charles-Fevrier. Fenwick is also the only coach to win league trophies with two separate clubs, although there is a caveat. He spent barely a month at Central when he won his only league trophy with that club in 2014—after Sancho and Harrison replaced coach Zoran Vranes within touching distance of the finish line. 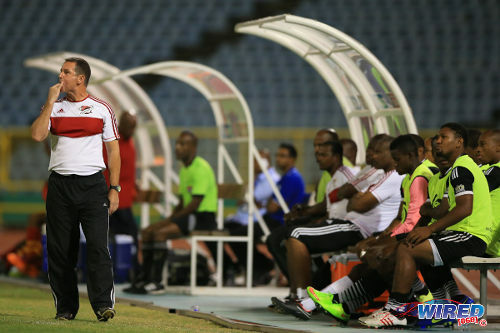 Photo: Then Central FC coach Terry Fenwick (left) whistles from the bench during his team’s Pro League contest with Point Fortin Civic in the 2014/15 season. Ross Russell subsequently replaced Fenwick at Central but was fired midway through the season, which the “Couva Sharks” again won. Russell managed two Pro League titles at Defence Force but did not get the chance to match Fenwick’s feat of succeeding at more than one team. Ironically, Russell coached Stars last season. However, Wired868 understands that all player and coaching contracts at the club expired earlier this year, which gives Fenwick a free hand to reshape the team. Previous Cuffie chides UNC and religious groups: Defending child marriages is like defending slavery! This question is related to our national senior team: when will be final selection before Panama game which is in a few weeks? Also what team the real squad going to play before that game? Local based players against Barbados is really a test? Is about time they wake back up the velodrome and bring back some sporting life in Arima great initiative. Plus with Fenwick is big players and sure trophies. What is? The fact that Stars has moved out of Grande? I understand where you’re coming from but I think this has the potential to grow the club bigger than it could have ever been up Grande! Once the right steps are taken with regards to marketing etc.
? Grande’s team has now become Arima’s team. God say to share bro ? Lasana Liburd, I just can’t seem to get out of my head that image of him deliberately elbowing the player who was celebrating a victory over a club he was coaching at the time. I don’t think any local coach would’ve gotten away with that. In truth he was punished. Both player and coach were. What people might not be aware of is that the Brazilian player celebrated his goal in the opposing team’s technical area which is against the rules too. There have been many full out brawls that were much worse than that. Trust me. I was on pro league disciplinary committee two years ago when a fight took place on the field and a Police player (who is also a policeman) walked up to a Civic player from behind and almost took his eye out with a sucker punch. That civic player is a former Trinidad and Tobago World Youth Cup player btw. Just two months ago, police had to part the medical staff members of Presentation College and Naparima who both started fighting after the game in full view of hundreds of school children. I hear you. I did not know about the area rule. I just felt he was a bit over the top reacting like that. I guess the player could’ve been accused of provocation by what he did. I do think he made a difference as a coach in T&T though. Terry was definitely wrong and was punished. 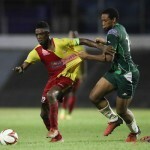 Jabloteh and Connection were fierce rivals at the time, so it might have been intentional provocation. The Brazilian, Goulart, was a brilliant player and Fenwick’s game plan would have been to stop him. Maybe he was reacting to getting one over on Terry despite his best efforts. So both men went too far and Terry was violently over the top. I remember in a schoolboys game around that same time and St Augustine put the ball out so an Arima player could get medical treatment. Instead of giving the ball back, Arima ran through and scored off the throw while the St Augustine players stood in shock. I was very upset that then Arima coach Kerry Jamerson didn’t give a goal back or make a statement or something. He just took the points. I’d like to think that was an error of judgment then and he regrets it now. People make mistakes though. I hear that. Been there. His wages are being paid by the club’s sponsors and not taxpayers. There is a lot of misinformation about about Fenwick, Rossana. I don’t know that he ever spat on anyone. The only case of spitting in the top flight was Marvin Phillip who spat on a referee. He has grown up a lot since and has done very well for Trinidad and Tobago as our national goalkeeper. Jabloteh early years began at my alma mater grounds San Juan government, so i know some hand one stories . is this the same man when Jabloteh couldn’t’ pay him after the collapse at CLICO , he bailed out on them and refused to accompany them to a match in Suriname 2009. t Is this te same man who the police was investigating for an alleged $450,000 re Ma Pau. to play in the TT Pro league? Really corruption. Birds of a feather flock together. The same man who recently boasted he liivng in T&t for 17 years and was the best man for the job Lawrence now holds. People in T&T suffers from amnesia conveniently. The goalpost also shifts conveniently . Anyway everyone is entitled to his/her opinion. I’m not shifting from mine. A society which lacks integrity and ethics and I’m not speaking about the government or politicians , but ordinary citizens. Rossana, I don’t know where to start. But I’d query your sources. Football is my business and over 90 percent of what you said was false. It’s not always about convenient memories. Some people are just closer to the facts than others. Can’t tell Fenwick what to do lol…. Very nice move your worship. Arima have no pro league team business men hate sports in arima. Good luck to all parties involved. Any updates on the subvention returning?? Heard that Pro League teams will get it. But that isn’t confirmed. Well one thing I know was that Coach Ross Russell was going and get his throat buss eh, because the owner Daryl from North East stars doesn’t like loosing and he never won the professional league so this upcoming season will be a very interesting one with the winning Coach Terry Fenwick at the helm eh. I wonder if he will be recruiting some of his players from Central F. C…..Good Luck Coach Terry, and Marvin Oliver and Derek King……..BOOM. Actually, North East Stars did win the league when they had Jerron Nixon up front. Think it may have been around 2004? It was 2004 with Jerren Nixon. Kevin is right. Think he scored like 41 goals or something ?? Exciting times ahead in Arima…I have fond memories of the Velodrome…It’s where I first saw David Nakhid play for T&T and put in a MOTM performance back in the 90’s vs Barbados I think. I still think there are lots of talented footballers in arima but since football was taken away from the Heart of arima most youths found themselves attracted to the minor leagues and other lowly rated leagues ,what bringing back professional football to the Heart of arima will and can do is encourage those youths to come out and showcase their talents !!! It’s all about opportunity !! Yeah that’s true Marlon Cayonne ..
What would be good is if they have a good youth system. Well you know that this has been a big problem in recent years. Something like this was long overdue well done Mr Fenwick !!!! Yeah Bor Bor and Curtis, imagine if they had this when we were just finishing school eh. Boy that would have been really good. Hell yeah! Fellas on we second 11 could have started other places. Yeah. That was probably it. Not sure if Ghost played with us too. 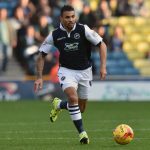 Brent, who was the full back from La Horquetta who played with your team? I just know him as Tetty’s big brother. For the life of me I cannot remember Tetty’s real name. Right. You remember his brother’s name then Curtis? I know Sean well but tetti was after I left. What you say Powie and Dragon? Oh when school football was life ?? The last time I was so happy was when I got a second wife and survived. Hahah. Wish it was there when we finished school. And from January what happens? I see. I believe one thing the league needs is more playing months. Maybe that could come in the form of an Apertura and Clausura like in Latin America since there arent enough teams to play one tournament only roundrobin. When does the season start exactly Jamaal? And the season will start May? The Fenwick /Lookloy combination Great for the League (s) and Arima. Wow never a dull moment….I think Fenwick will force me back on the pitch for Cale. Where is Cro Cro…. or a calypsonian when you need one boy…. has anyone ever seriously done any work at getting private investors to buy into the TTPro? As a boy, we had Arima United playing at the Drome. After that players never had a top flight team in the area. And Arima has a huge catchment area. So I think it is great for young players and football fans. Don’t know all the details but sounds like Arima will have good football this year between the Pro League and the Super League. This really is a good opportunity for young players . Any potential name change? Arima Stars perhaps? Fenwick will have to answer that one. What kind of salaries will this team pay and will they provide housing to foreign players? I have some foreign players that need an outlet to show case themselves or get their career back on track. Arima is the ideal location for a Professional football team. Is there going to be promotion/relegation implemented? Promotion and relegation was one of the cornerstones of the new constitution. I don’t know why it hasn’t happened yet. As far as I understand, the TT$400,000 entrance fee is the sticking point. But do you have to pay the fee if you get promoted? Or put it in a bond or something. It’s supposed to be a bond to ensure players are paid Simone. Although, ironically, we know that players still struggle to get paid and sometimes go two months without a cheque. That happens virtually everywhere except the top leagues and any league in USA. From what I understand, FC Santa Rosa are not interested in that Nigel. Don’t know if they will change their minds. Is that being considered Timothy Rochford? Well, still time to see if it can happen. I think it would be great. I think they would get more support being based in Arima. Yeah. Me too. Good for Rosa to be back home too. I say “back home” but I’m not sure if they EVER used the Velodrome before. Has Super League/Pro League double headers ever been considered. For example, FC Santa Rosa in the opening game, followed by North East Stars in the headline game. This is great for Arima! Also great for both the Pro League and Super League. The Velodrome is very much accessible and is smack in the center of the hub of the East, Arima. Ah like this move. Now let’s see how this plays out.